We are just back from our honeymoon in Nepal and I just wanted to say a massive thank you to you for doing such an AMAZING job for our wedding day! I was stunned by how beautiful you made us all look and you seemed to naturally know what would suit us all without us even having to say anything. 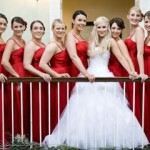 I can honestly say I have never felt so good and my bridemaids all said the same too. I could tell by just their faces how over the moon they were and I am so happy we decided to go with you 🙂 Also Martin was sooo complementary about my make up and he usually hates me looking too ‘done’! I would love to recommend you in any way I can. Louise was helpful and really good at understanding what both my mum (who never wears make up) and also myself wanted for the big day. She listened carefully and on the day made the whole getting ready experience feel very calm and relaxed -this is just what every bride needs on the morning of their wedding. 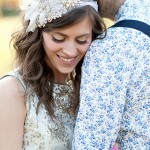 I would highly recommend Louise to fellow bride’s to be! Thank you Louise for making me, my mum and sister look and feel beautiful on my wedding day. From our first meeting, the trial session, you knew exactly what I had in mind as well as what I would suit and, in the run-up to the wedding, this was one of the few things that I didn’t worry about at all; and was right not too! As well as being professional, clearly experienced, and well equipped (I have never seen so many gorgeous products! ), Louise is lovely and friendly and made us feel right at ease I will be recommending you to all my girl friends in the future. Thank you so much. Louise was my make-up artist for my wedding back in September 2018 and I would recommend her wholeheartedly to anybody for their wedding day. Louise really takes the time to understand your vision at your pre-wedding consultation, not only sharing her extensive knowledge on make-up but also on your skincare routine leading up to the day. On the morning of the wedding, Louise was so professional, punctual and reassuring and did an absolutely fantastic job, not just with my own make up but also with 3 of my bridal party. The compliments that we received about our make up throughout the day were lovely and it looks beautiful in my photos and stayed perfect all day. 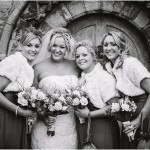 Anyone who books Louise for their wedding day will be looked after by a very talented pair of hands. Would just like to say a MASSIVE THANK YOU for the wonderful make-up you did for my wedding. Myself, my Mum, Claire and the bridesmaids absolutely LOVED what you did. I truly felt like a princess all day and had so many comments about my make-up looking so natural and not too over the top. Didn’t have to touch up once, just the lip gloss (thank you again for such a kind present!). I’m not normally a very confident person and hate having my photo taken, but after you worked wonders I felt a million dollars! What can I say, THANK YOU for the most amazing hair and makeup at our wedding, the pictures are in and we all look utterly amazing! I really can’t thank you enough for making us all look so sensational on the day, the girls utterly loved their hair and makeup as did I! You both have been nothing but calming and professional prior to the wedding and on the morning of the wedding, wow, who knew getting 9 girls ready could go so smoothly! Thanks again and I really hope I have the pleasure of having my hair and makeup done by you both again! Louise did make-up for me, my bridesmaids and close family for my wedding this summer and did a wonderful job. She was lovely and accommodating of all our requests and recommended some great products after the trial. She was also a super calm and organised influence to have there on the morning making sure we all got ready on time. Thank you!